To replace missing teeth, Dr. Steven M. Balloch uses dental implants, which are titanium posts that replace missing tooth roots and hold restorations firmly in place. He works with experienced implantologists to place these synthetic tooth roots within the patient’s jaw, where they fuse with the jawbone. 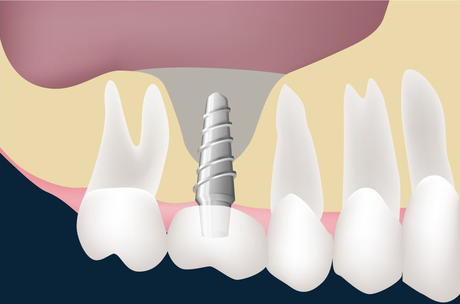 Dental implants can support crowns, bridges, and dentures. Since the titanium posts are integrated with the bone, they keep restorations firmly in place, provide a natural appearance, and can actually prevent jaw bone atrophy. Dr. Balloch has been restoring teeth with dental implants for almost 30 years, so he understands how to provide excellent results. If you have severe or extensive dental damage, Dr. Balloch can help you restore the beauty and function of your smile with a full mouth reconstruction. He will consult with you throughout this process to create a customized treatment plan for excellent results. Dr. Balloch will conduct numerous diagnostic tests to determine which combination of procedures can meet your needs and expectations. Once your full mouth reconstruction has begun, he will have you wear temporary restorations that will allow you to provide input on the creation of your permanent restorations. Many avoid coming to the dentist out of fear or anxiety, but putting off regular cleanings or necessary dental treatments can only make matters worse. To keep you calm and comfortable during your appointment, Dr. Balloch provides sedation dentistry. A licensed dentist anesthetist can administer intravenous (IV) sedation, giving you the sensation of sleeping through your procedure. Sedation dentistry can allow Dr. Balloch to complete treatments on multiples of teeth more efficiently while keeping you comfortably relaxed. Following treatment for trauma, decay, or infection, a tooth may require a porcelain crown, which covers the entire outside of the tooth. These restorations are durable, stain-resistant, and provide a natural look. If you need a dental crown, Dr. Balloch will prepare your tooth by performing any necessary treatments, such as a protective buildup, before he does the final shaping for the crown. Depending on the type of damage, he may also shape the tooth so that it can properly hold a crown. Next, he will take an impression of the tooth so that our partner lab can create your custom porcelain crown. 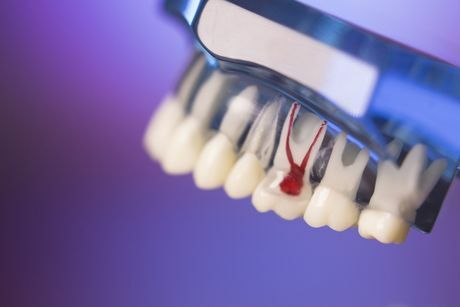 A custom temporary crown is placed to protect the tooth while the new crown is being made, and the permanent crown is cemented at a subsequent appointment. If you suffer from headaches, facial muscle pain, clicking sounds in your jaw, or difficulty opening your mouth, TMJ (temporomandibular joint disorder) could be the cause. The temporomandibular joints act as a hinge between your jaw and skull. Any dental misalignment or damage to the joints can cause discomfort and prevent you from comfortably chewing or speaking. Dr. Balloch will recommend TMJ Disorder treatments that include lifestyle changes, like stopping chewing gum, or prescribing a nightguard if the issue is caused by bruxism (teeth grinding). We can arrange more extensive treatments if necessary. Many patients suffer from bruxism, or teeth grinding, a condition that involves clenching the chewing surfaces of the top and bottom teeth together due to stress or other factors. This most often occurs unconsciously during sleep. Grinding can wear away enamel, jeopardizing the health of the teeth. To treat this condition, Dr. Balloch uses custom-made full arch night guards and the smaller, FDA-approved NTI-tss Plus™ night guards. Both of these plastic devices cover your teeth to prevent them from grinding against each other. Dr. Balloch can typically fit patients for their NTI® night guards in just one short appointment, while the full-arch guards require two appointments. If you are missing some or all of your teeth, a denture can help restore the appearance and functionality of your smile. A denture consists of prosthetic teeth and gums that allow you to chew, eat, speak, and smile with complete confidence. Dr. Balloch works with our excellent partner lab to create beautiful dentures that enhance your smile. He provides both traditional dentures, which sit atop the gums, and implant-supported dentures, which are securely attached to dental implants. The bacteria in plaque produces acid that can decay your enamel, creating cavities. These small areas of damage need to be repaired as soon as possible to prevent further decay, alleviate discomfort, and restore the function of the tooth. Our tooth-colored composite fillings blend in to provide a natural appearance, in addition to supporting the remaining tooth structure. Tooth-colored fillings are durable, and with proper care, can last for many years to come. If you are missing one or more teeth, a dental bridge can help to restore your chewing function and your smile. A bridge, also called a fixed partial denture, consists of one or more replacement teeth attached to either adjacent dental crowns or dental implants. Dr. Balloch uses beautiful porcelain bridges since they are realistic in appearance and provide long-lasting results. Your gums are an important part of the foundation of your smile. The same bacteria that wear away your enamel can create infections under your gums that, if left untreated, could cost you a tooth. Periodontal (gum) disease can eventually lead to more serious issues such as heart disease and stroke. During your regular appointments, Dr. Balloch and his highly trained staff will examine your gums for any signs of disease, and provide treatment to prevent bacteria from collecting under the gum line. Maintaining your dental hygiene is key to preserving your oral health. While at-home care is very important, it does have its limits, making it imperative to visit us at least twice a year for your professional cleaning and examination. During your regular appointments, we will thoroughly clean your teeth, assess your periodontal health, and provide suggestions for improved home care. These routine visits also allow us to diagnose tooth complications in their earliest stages, when treatment may be easier and less expensive. Obstructive sleep apnea (OSA) is a common condition that occurs when the soft tissues of the mouth and throat block the airway, leading to poor sleep quality and low energy levels. Dr. Balloch can provide advanced treatment for OSA that can help you achieve more restful sleep at night and increased energy levels throughout the day. Patients commonly visit the dentist because of a toothache, only to experience anxiety and nervousness at the thought of undergoing root canal therapy. Dr. Balloch makes every effort to provide a comfortable and pain-free experience for each root canal therapy patient. If you see our dentists in the earliest stages of tooth infection, the outer tooth structure can be saved through root canal therapy, forgoing the need for tooth extraction. If a tooth becomes severely damaged due to gum disease, decay, or trauma, a tooth extraction may be necessary. Along with removing damaged teeth, Dr. Balloch can remove impacted wisdom teeth. We take a conservative approach to your oral health and therefore only extract teeth if it is a necessity. Ask us about our sedation options to make your tooth extraction procedure more comfortable. A sinus lift is a type of bone grafting procedure that adds tissue to your upper jaw, which is often needed when placing dental implants. Following tooth loss in the upper jaw, your bone tissue will recede, which will make your sinus cavity drop into the empty space. Raising the sinus membrane to its original position can help you experience the numerous benefits of dental implants. Bone grafting can help patients who have lost bone due to tooth loss, severe tooth decay, periodontal disease, or trauma. 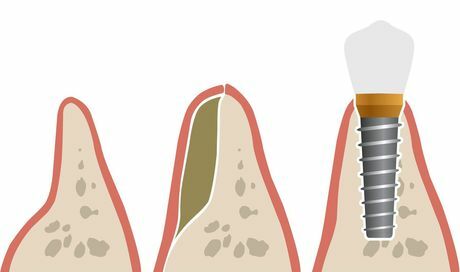 This procedure is often a prerequisite for patients looking to receive dental implants because it can provide a solid foundation for implant posts. Dr. Balloch provides multiple sedation options to make your bone grafting procedure painless and comfortable.